We were in the backyard, and noticed this wasp chewing on the fence. I gave the camera to Andrea because she's interested in insects too. 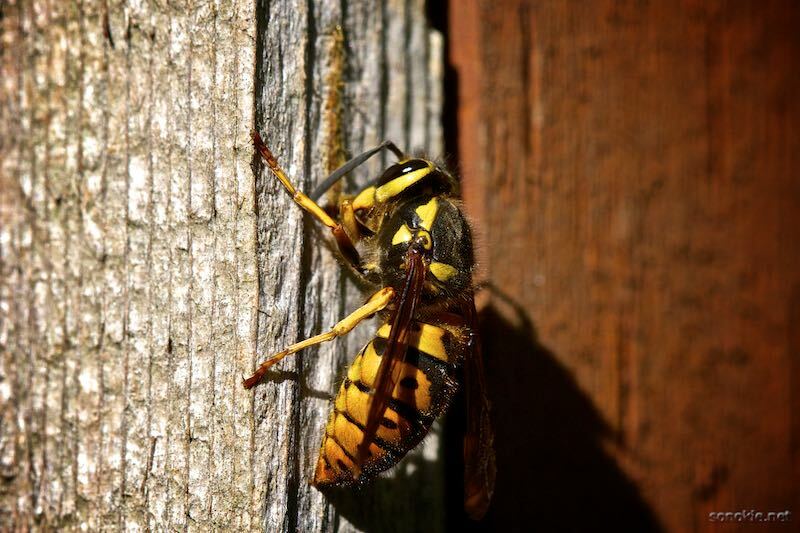 She took the photo and decided to call it "fastidious" because of the care and attention with which the wasp is chewing wood off the fence.